Huawei introduced a software-defined networking (SDN) forwarding plane technology named Protocol-Oblivious Forwarding (POF). With POF, packet forwarding processes are defined by software in a controller which can program forwarding devices via fine-grained forwarding instructions (including data offsets and lengths). This software-based programming is flexible and the actual packet processing and forwarding is performed by the program in forwarding devices (i.e. packets do not flow through the controller). Huawei has developed POF prototypes based on the NE5000E core router platform and has tested the forwarding of multiple services. The company said its testing has shown that, with POF, the forwarding devices no longer need to directly support specific protocols and those requirements around forwarding performance are successfully met in various scenarios. "Our hope is to help accelerate the pace of innovation for open SDN and future-proof evolution of networks. Carriers and users of networks in particular can benefit from more flexible switches and can reduce the total cost of ownership by focusing on building simpler, fit-for-purpose networks where only required forwarding behaviors need to be programmed in each switch. Such forwarding plane evolution technologies help remove protocol dependency in forwarding devices and can ultimately enable support of any existing/customized packet-based protocols via generic instructions. "We believe that openness and software-based programmability of forwarding devices can help increase the adoption of OpenFlow, particularly in the carrier space where we see a huge potential for simplification." said Dr. Justin Joubine Dustzadeh, VP of Technology Strategy & CTO of Networks at Huawei Technologies. "With the POF technology, user-defined fields can be added to packets to implement advanced network functions. Forwarding devices will be able to more flexibly support layer 4-7 services and enable network functions virtualization (NFV) through programming of the POF engine." 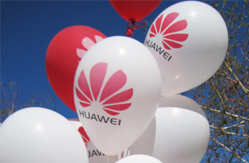 Huawei Marine, which builds and maintains submarine cable networks, achieved its first, financial breakeven year in 2012 after only four years of operation. Key milestones for the company have included the development of a unique, two fibre pair repeater housed in an extended universal joint casing and which was deployed it in the SGSCS system in South America during 2009. The company has developed several extended-distance variants of this original R1 repeater. Huawei Marine is also working on the first ever titanium-cased six fibre pair repeater, with an innovative narrow design to improve burial confidence using standard ploughs. Achievements also include a 1,600m2 clean room for repeater and BU production in Dongguan, China. Currently the repeater production capability is 20 pcs per month, with a ceiling of four times this, and the integration assembly and testing containers support 10 pcs per month in each of our portable containerized assets. Lightower Fiber Networks completed its merger with Sidera Networks, creating one of the largest metro fiber providers in the United States. The new Lightower operates a broad, dense and unique fiber-optic network throughout the Northeast, Mid-Atlantic and Chicago metro areas. 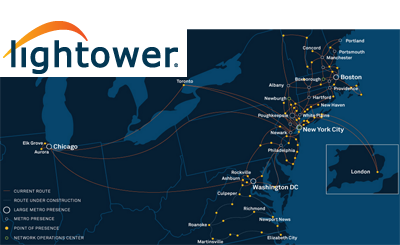 The fiber footprint extends 20,000 route miles throughout New England, the New York metro region, Philadelphia, Washington, D.C., Virginia and west to Chicago, with additional connectivity to landing points in London and Toronto. Lightower provides access to over 7,500 service locations, including more than 130 data centers, over 115 carrier hotels and central offices, 40 financial exchanges and 18 Lightower colocation centers. The transaction, valued at more than $2 billion, was led by Boston-based Berkshire Partners. Pamlico Capital, a significant Lightower investor, and ABRY Partners, a significant Sidera investor, will remain as investors in the new company. Lightower is headquartered in Boxborough, MA. The company is led by Rob Shanahan, President & CEO. Deutsche Telekom AG (XETRA: DTE) announced a "best and final offer" to acquire MetroPCS and merge it with its subsidiary, T-Mobile USA. Under the terms of the current agreement between MetroPCS and Deutsche Telekom, T-Mobile USA would be contributed to the combined company with shareholder loans totaling US$15 billion. In its improved offer, Deutsche Telekom will reduce these shareholder loans by US$3.8 billion to US$11.2 billion, significantly increasing the equity value of the combined company. Deutsche Telekom will also reduce the interest rate on the US$11.2 billion of shareholder loans by 50 basis points. This lower rate reflects the new capital structure of the combined company, the improved capital markets environment in recent months, and the interest rate level of MetroPCS newly issued USD 3.5 billion of bonds priced in March. The lock-up period during which Deutsche Telekom is prohibited from publicly selling shares in the combined company will be extended to 18 months (previously 6 months). The company does not believe any further regulatory review is necessary for its sweetened offer. 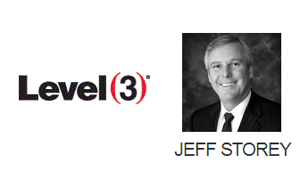 Level 3 Communications named Jeff K. Storey as its new president and CEO effective immediately, replacing James Q. Crowe. Storey joined Level 3 in 2008 as the company's president and chief operating officer. Prior to joining Level 3, Storey served as president of Leucadia Telecommunications Group where he was responsible for investments and operations across various industries. Before Leucadia, Storey served as president and chief executive officer of WilTel Communications. Prior to that, he was a senior executive at Cox Communications, where he was one of the founding members of Cox Business Services. Storey began his career in telecommunications with Southwestern Bell Telephone. "Jim Crowe created a bold vision for our company over 15 years ago, and I want to thank him on behalf of the Level 3 Board of Directors for his extraordinary contribution," said Walter Scott, Jr., chairman of the Board of Directors of Level 3. "He envisioned a new kind of communications company, and he built it from the ground up. I think it's no exaggeration to say that he helped transform the communications industry." Jim Crowe also confirmed that he will not stand for reelection to the company's Board of Directors at the company's 2013 Annual Meeting. Avago Technologies agreed to acquire CyOptics, a specialist in Indium Phosphide (InP) optical chip and component technologies, for approximately $400 million in cash. CyOptics designs, fabricates and packages a broad portfolio of optical component products across enterprise, data center, access, metro and long-haul market segments. It optical components are integrated into optical transceivers, transponders and line cards. Its expertise includes single-mode InP laser, receiver and photonics integration capability. The privately-held company reports 2012 sales of approximately $210 million, up 21% from 2011. Avago said the acquisition will strengthen its fiber optics product portfolio for emerging 40G and 100G enterprise and data center applications. Avago's optical transceiver products primarily leverage VCSEL-based technology today. 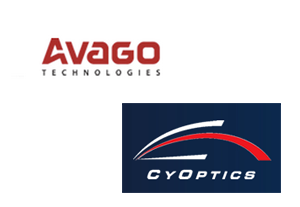 In addition, the acquisition of CyOptics will facilitate Avago's establishment of a complementary optical components business, not only to serve growing segments of the access, metro and long-haul markets, but also for enterprise and data center segments. CyOptics was founded in 1999 and is based in Breinigsville, PA.
Deutsche Telekom has chosen Tail-f Systems to deliver key SDN components for its TeraStream project. As the face of networking is changing, TeraStream’s goal is to create an all-IP transformation to cope with exponential traffic growth while streamlining the delivery of network services in real time. 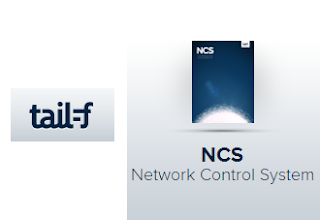 Specifically, the TeraStream project will use Tail-f’s NCS (Network Control System) to provide a network-wide and service-aware unified application programming interface (API). NCS leverages YANG (RFC 6020) and NETCONF (RFC 6241)to provide service and device modeling and fail-safe mechanisms for changing network configurations. Neul, a startup developing solutions for whitespace wireless, has appointed Stan Boland as its new CEO. Boland was previously CEO and co-founder of Icera, a UK-based company building 4G/3G/2G cellular chipsets and software which was acquired by Nvidia in 2011 for $367 million. Prior to this, he was CEO and co-founder of Element 14, a UK company building ADSL chipsets and software which was acquired by Broadcom in 2000 for $640 million. Neul, which is based in Cambridge, U.K., is the first to deploy white space wireless network technology based on the royalty-free, open network standard, Weightless, and the first to develop a single chip white space transceiver. "I am thrilled to be joining Neul, probably the most exciting company globally in the wireless space. Its technology is strongly complementary to cellular technologies through the provision of coverage and capacity needed for the large numbers of devices intrinsic to industrial applications for the internet", commented Stan Boland.